Winter is a fact of life if you if you live in Pennsylvania. The coldest and snowiest months tend to be January and February...but I've seen snow on the trails as late as mid-April. I'm not a skier...and I'm not a fan of snow or cold...but I do like winter mountain biking. Without the foliage on the trees, it's possible see much more of the landscape, making the forests seem much more immense. 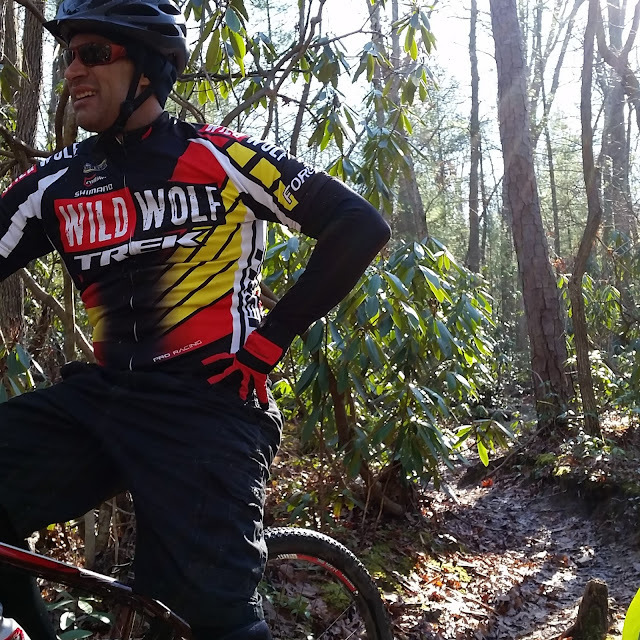 The frozen trails make the riding fast, fun, and downright exhilarating! 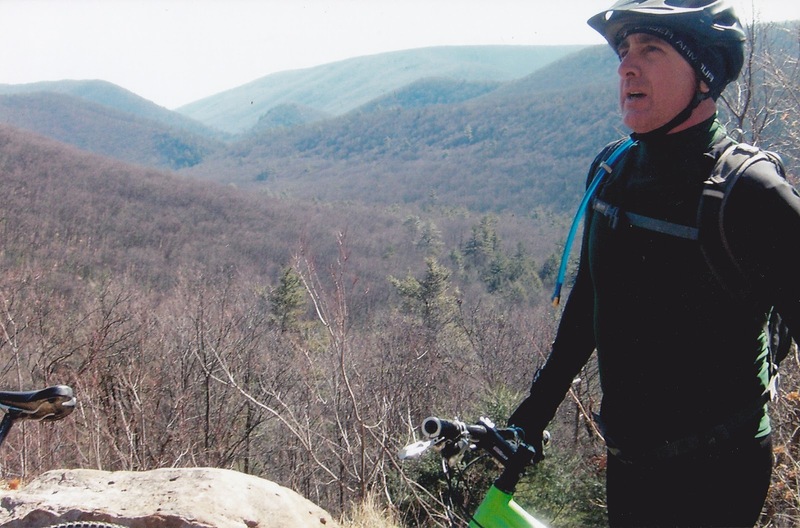 Years ago...when I first started riding...mountain biking was seasonal for me. 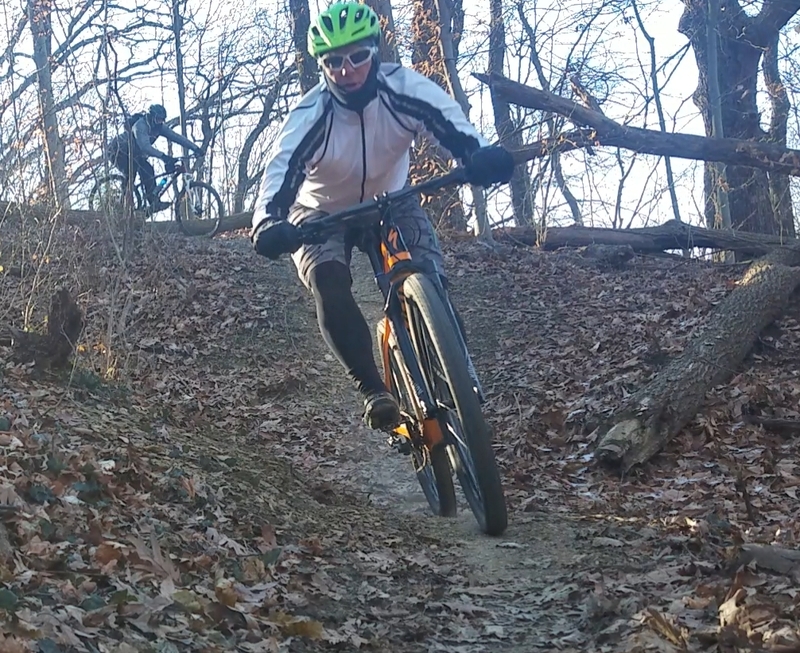 I rarely (if ever) hit the trails during the winter months. As my passion for mountain biking grew...so did my desire to keep turning the pedals no matter what time of year it is. I've always had limits to what I would ride in. Ice is a deal breaker for me. But as long as I have my head covering, winter gloves, GORE jacket, and toe warmers I can tolerate below freezing temps for about 90 minutes. 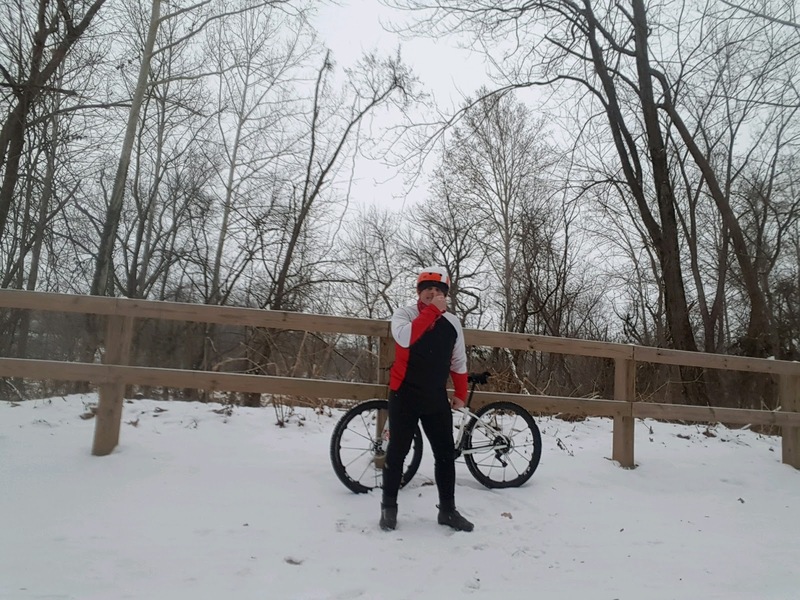 I've learned quite a lot while mountain biking in the winter. 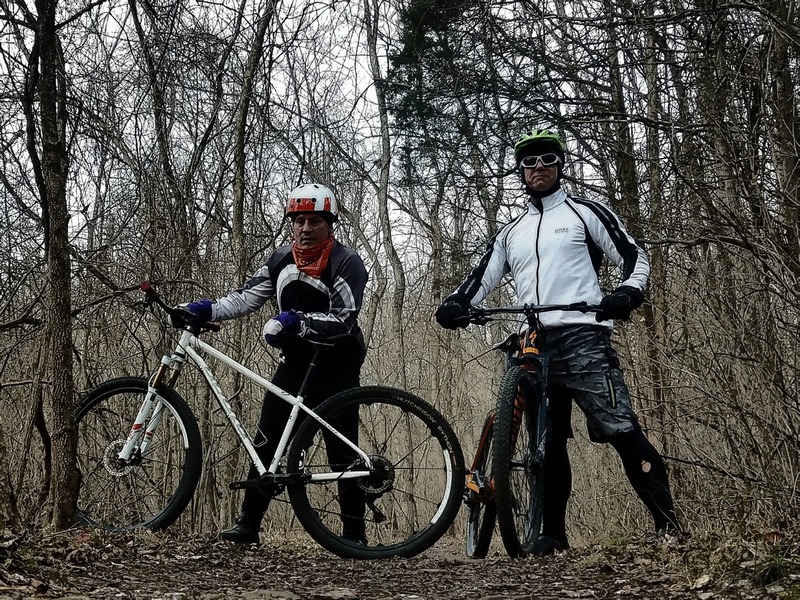 For instance, it's easier to ride on frozen trails when it's 25 degrees outside as opposed to riding on cold muddy trails when it's 35 degrees outside. 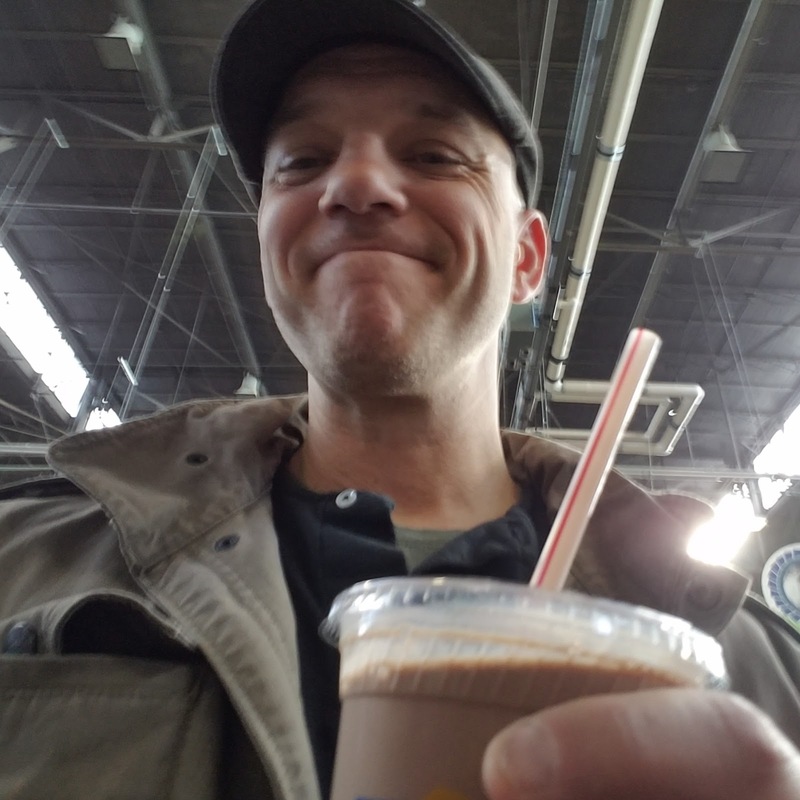 Experience has also taught me that if I plan on sipping from a camelbak while riding, the nozzle will freeze over unless I blow the remaining water back into the the bladder. Finally, I now know (and all my friends love to remind me of this) if your derailleur freezes over and you can no longer shift gears, the best way to thaw it out is by urinating on it! 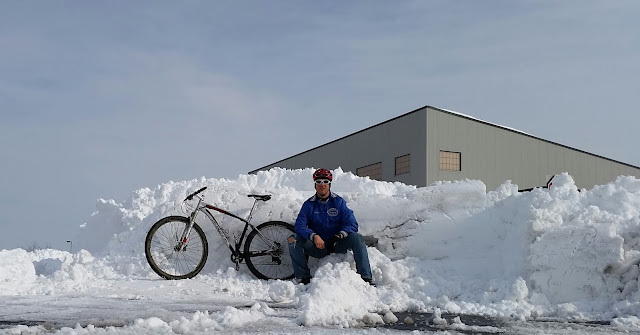 So...with the arctic winter air firmly entrenched over south-central Pennsylvania I thought I'd enlist the help of my friends and ask them to share their own winter riding knowledge and advice. Here are their responses in the order that I received them. Thank you, Mark, Mike, Glenn, Tim, and Matt. ADVICE FOR WINTER RIDING: Just try it. Experiment with clothing. You will most like not get it right the first time. Layer so you can peel off...sweating is not good. WINTER RIDING GEAR YOU CAN'T DO WITHOUT: Winter shoes. MOST MEMORABLE WINTER RIDE: Two hour delay rides at Rocky Ridge...then going to work. WINTER RIDING THRESHOLD: Extreme wind and cold rain will definitely halt any planned ride. ADVICE FOR WINTER RIDING: Always consider and prepare for all the elements you are going to endure prior to riding in the winter. Sometimes it's just better to postpone the ride for another day. WINTER RIDING GEAR YOU CAN'T DO WITHOUT: Ear covers, full finger gloves, & wind proof socks. MOST MEMORABLE WINTER RIDE: My most memorable ride was last year...a few days before Christmas. I was riding at Rocky Ridge and I was the only one riding at the time. It was very peaceful, but at the same time, eerie...due to Christmas music being played slower than normal over the loudspeakers near the Christmas lights display. It gave me a "Jason Vorhees" type of Halloween feeling. WINTER RIDING THRESHOLD: 30 degrees, I guess. Below that, too much work and too much clothing to stay warm and dry. ADVICE FOR WINTER RIDING: Plan ahead. WINTER RIDING GEAR YOU CAN'T DO WITHOUT: For me...an extra pair of socks and gloves. MOST MEMORABLE WINTER RIDE: Jim Thorpe, 2001. First-ever winter ride. Very cold, lots of snow. More work than fun...but lesson learned! Came back later that Spring and had a blast! WINTER RIDING THRESHOLD: 30 degrees. ADVICE FOR WINTER RIDING: Cover your ears and make sure your hands & feet are warm enough! Everything else will warm up during the ride. WINTER RIDING GEAR YOU CAN'T DO WITHOUT: Ear covers, full finger gloves, and wind proof socks. 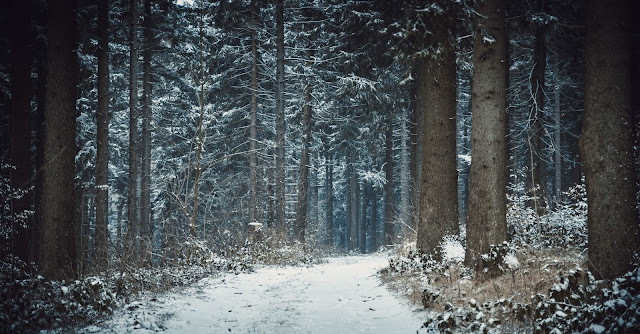 MOST MEMORABLE WINTER RIDE: I rode in a blizzard once. It was stunning to look down and see the snow piling up on my thighs! 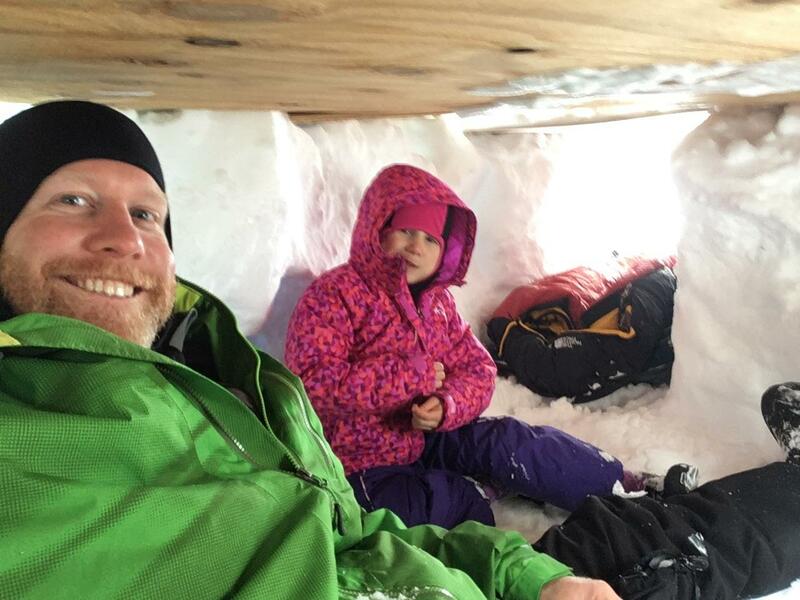 Matt Linnane loves to build snow caves with his kids. It doesn't get much more cool than that! WINTER RIDING THRESHOLD: 90 minutes at 15 degrees...with toe warmers. ADVICE FOR WINTER RIDING: Layer correctly...balaclava to keep your face warm. WINTER RIDING GEAR YOU CAN'T DO WITHOUT: Balaclava, toe warmers. MOST MEMORABLE WINTER RIDE: Mt. Gretna. Leaves off the trees and fresh tracks made it easy to find some hidden gems that I otherwise would have passed up. Whether it be riding, ice climbing, or teaching my daughter to ski -- I LOVE WINTER! What advice do you have for winter mountain biking? Feel free to post it in the comments.